The staff at Midwest Orthopaedics is eager to assist you with scheduling, billing, and any other questions or concerns you might have. Please do not hesitate to give us a call at (913) 362-8317 when you need us. Barbara has been the Executive Director for Midwest Orthopaedics since 2004. She is a certified medical practice executive (CMPE), with a masters in health services administration (MSHA) and over 25 years of experience as a practice administrator. 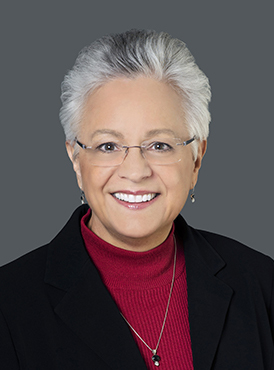 Barbara has been an active member of the American Association of Orthopaedic Executives (AAOE) since 2004 and has served in various leadership capacities, including 6 years on the Board of Directors and as President of the organization. Mary has been with Midwest Orthopaedics since 1977, starting as a nurse for Dr. Nye. She schedules surgeries and a variety of tests for our patients, manages the clinical employees, and serves as the practice memory bank. Leslie has worked at Midwest Orthopaedics since 2010. She is a Radiologic Technologist and attained her degree from Colorado Technical University. She holds a Kansas license and a national license with ARRT. She is a member of Midwest AAOE and ASRT. Leslie has completed ortho tech and cast training. She started in the xray department and is now the Clinical Supervisor. She oversees day to day operations in the clinical area which includes working directly to support our Physicians and Physician Assistants with coordinating patient care. Leslie also floats from clinic to other departments as needed and helps troubleshoot IT issues that may arise. As our billing manager and a certified professional coder (CPC), Shannyn works with all of the insurance carriers and supervises the billing operations for our group. Contact Shannyn with billing questions at (913) 322-7815.